Louise Pearlie is a file clerk with the OSS. That is how she usually calls her employment when asked and it is the truth though she is too modest to state that she is the Chief File Clerk for the European/North African division. As such she manages several other women in the incredibly crowded office in downtown Washington, D.C.
She reached this position because of her Associates Degree in business and possibly her slightly advanced age, being several years older than most of the women applying for work there. This is not to imply she was old or even middle age as she is in her mid-to-late 20s when we first meet her. But she is definitely more mature and experienced than the others. Pearlie is a widow. Her husband of just a few short years died a couple of years before she made the trek north to D.C. from her home in Wilmington, North Carolina. He had died from pneumonia brought on by adult Measles. With him gone and few prospects for employment in her hometown, she was left with the choice of living off the graces of her parents in the fishing industry or trying elsewhere. The demand for bodies in the nation's capitol after the declaration of war gave her the chance to make it on her own. Pearlie is most definitely not a spy nor does she have any aspirations to be or act like one. She is, however, extremely intelligent, resourceful, and decidedly intrepid and in the now crowded hub of government, the chances for all sorts of interesting events involving foreigners and intrigue and all too often double dealing are such that someone with her personality could not help but find excitement. The year is 1942. 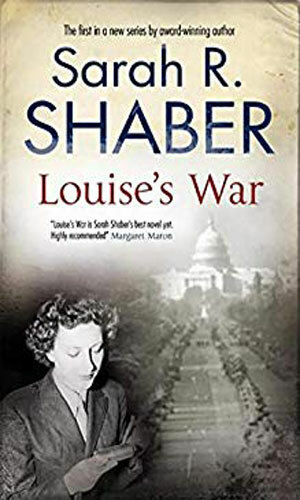 Working as the file clerk for General Donovan, head of the OSS, Louise Pearlie comes across a report that reminds her of her college friend, Rachel, now living in Nazi-occupied territory. Wanting to help her, she comes up with a plan but when a colleague helping her is killed, Pearlie knows she is on her own. The year is 1942. 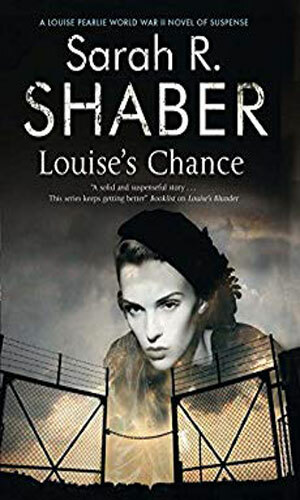 Now the chief file clerk for the OSS, Louise Pearlie begins a casual friendship with a war refugee named Alessa di Luca and finds that puts her in in the mix of the Mafia, Nazi spies, and European royalty, any one of which could get her dead. Looking for an opportunity to get out of the office of the OSS, Louise Pearlie jumps at the chance to help investigate a strange postcard given the OSS by the US Censor. With an FBI agent, she discovers the person the postcard was sent to is very uncooperative, as is the man's wife. The more Pearlie looks into it, the more the case looks like treason. 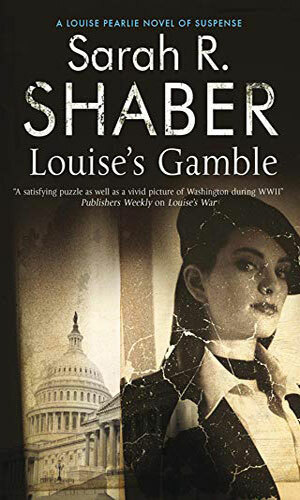 Asked to look into the disappearance of an analyst at OSS headquarters, Louise Pearlie meets some interesting people and is enjoying the assignment until she learns the missing man was found drowned in the Tidal Basin. Might she be next? Louise Pearlie is given a new job at the OSS - trying to get some of the German POWs to be agents for them. She is even given two people to assist. They find that they have their work cut out for them complete with a probable murderer among the candidates. Having a quiet drink after work in 1943, Louise Pearlie and her friend Joe are on hand at the bar where a body is discovered. The man had been a regular though no one knew much about him. Poking her nose into the case, Pearlie learns where is a connection between the victim and her work for the OSS. 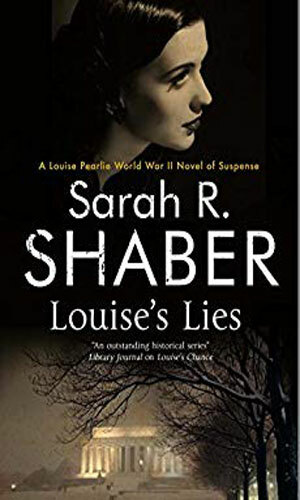 This site is devoted to spy series and though Louise Pearlie is not technically a spy, the things she gets involved with so definitely entitle her to membership and that delights me because these books are addictive. These are not female Bond adventures. She is first and foremost a file clerk, albeit the boss of her section. She is not, though, a shrinking violet and when adventure calls, she does not slink away. In the first book she needs at one point to get information from the French embassy and having no legitimate reason for going there, she inveigles an attaché there to sneak her in as his 'girlfriend' (okay, he didn't need that much prompting) but when he starts demanding she provide the 'entertainment' he led others to believe they were going to have, she shows him she can defend herself quite forcefully. Pearlie is neither a prude nor a floozy. She is a woman who has no need for a man but has not turned her back on further romance. 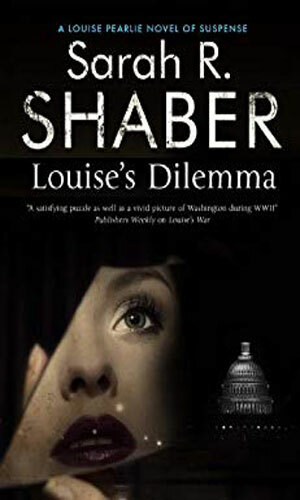 She knows that in the Washington of the 40s, it is decidedly a man's world and she has to play by their rules but she is intelligent and sly enough to know there are ways to get past many of the roadblocks. These are principly mysteries set in the spy world but they are darn good and with a well developed cast of supporting characters, they make for great reading. I got to really enjoy small snippets of time with people like Dellaphine and Ada and Joe, someone Pearlie gets more enjoyment with as the stories progress. Some people have classified these books as historical mysteries, which they are, and as cozy mysteries, which they also are, but I also through in the tag spy mystery mainly because I want to. Thank you, Ms. Shaber for letting me into Pearlie's world.